Or "One Little Way to Pack on the Big Pounds." 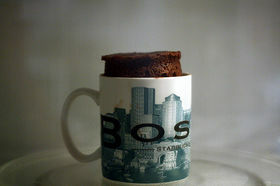 I give you Cake in a Mug. I'm very hungry right now. so convenient - no fork needed. Ooh, I've made those. Pretty yummy. How tempting. I have to keep telling myself that we're having cake on Friday. We're having cake on Friday. We're having cake on Friday. We're having cake on Friday. We're having cake on Friday. We're having cake on Friday. We're having cake on Friday. We're having cake on Friday. We're having cake on Friday. We're having cake on Friday. We're having cake on Friday. We're having cake on Friday. We're having cake on Friday. We're having cake on Friday. We're having cake on Friday. We're having cake on Friday. We're having cake on Friday. We're having cake on Friday. We're having cake on Friday.